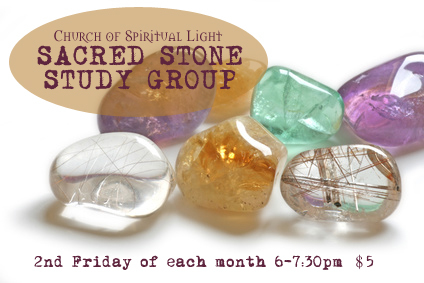 Join us for this monthly gathering of crystal lovers! Open to crystal and stone lovers everywhere who would like to tap into the collective wisdom of others who study, collect and work with crystals. 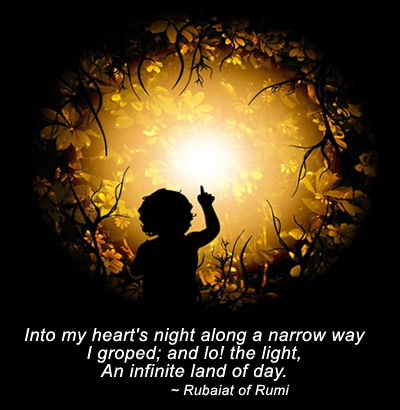 This is an informal study group designed to create a forum for sharing experience and knowledge about crystals for vibrational healing, enlightenment, artistry and a deeper connection with the earth. Please bring your crystal books and crystals to this monthly gathering and join in the discussions or just listen in. Also if you would like some help identifying your crystals you may bring them, as well. We will be focusing on 3 crystals per meeting, so that we can really get to know the stones! Learn how to add more soulful style and grace to your home and everyday life! 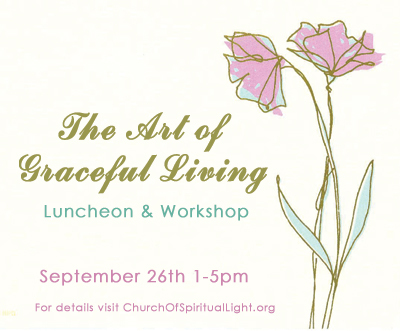 In a fun, informative and interactive way, we will learn about cleaning, clearing, blessing and dressing your living environments and how to make sacred spaces. We will learn about altars, how to make them and how they assist us in maintaining, focusing and honoring our intentions. We will be focusing specifically on creating abundance in the home and making items for you to take home for your abundance altar! 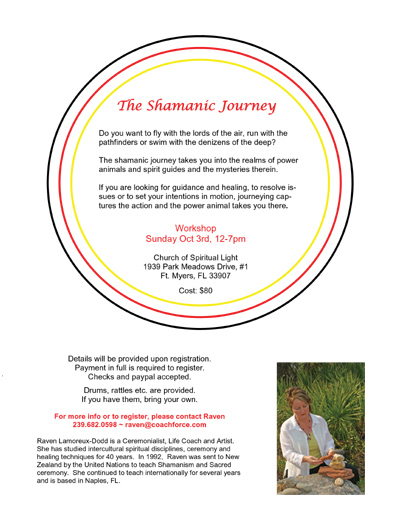 Church of Spiritual Light is pleased to present The Shamanic Journey ceremonial workshop with Raven Lamoreux-Dodd. Join us for this day of journeying to connect with your power animals and totems, drumming and intention. Invoke the power of the shaman in your life! Please call Raven directly at 239-682-0598. 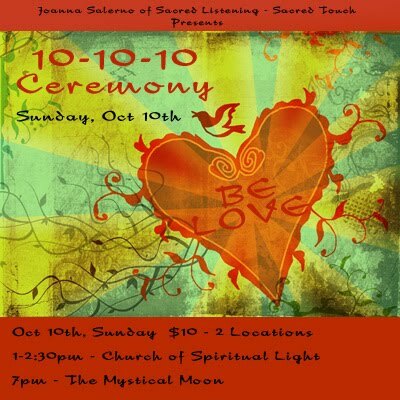 Embark on a Sacred Journey to receive the energies of this significant day. 10-10-10 is an astrological star-gate opening and in numerology adds up to 3 which is the number of manifestation. As we journey and ride the wave of these energies we become more aligned with the Universal energies of Light. It is in raising our vibration that we attract more of what we want to bring to our lives. Please bring drums, rattles, yoga mats or towels and items for our alter.